WAIN is a network of people that began organizing in December 2014 as part of the Western Invasives Network (WIN). WAIN is comprised of natural resource and conservation professionals who work for diverse government agencies, universities, soil and water conservation districts, watershed councils, non-profits, and other organizations throughout the Willamette Basin. 3) Restore riparian habitat in the Willamette River Basin. The Willamette River Basin is Oregon’s largest watershed as it covers over 11,500 square miles and includes over 13 major tributaries. Tackling the invasives over such a large area involves an extensive collaborative effort. During the summer of 2014 several WAIN members including the Willamette Riverkeeper's volunteers (above) and Integrated Resource Management's restoration crew (right), participated in a number of projects along the Willamette River to control Ludwigia, a highly invasive aquatic non-native species. If you would like to join the WAIN Network please email Vern Holm. For a list of members you can download the WAIN Directory. There are many invasives species threatening the Willamette Basin. 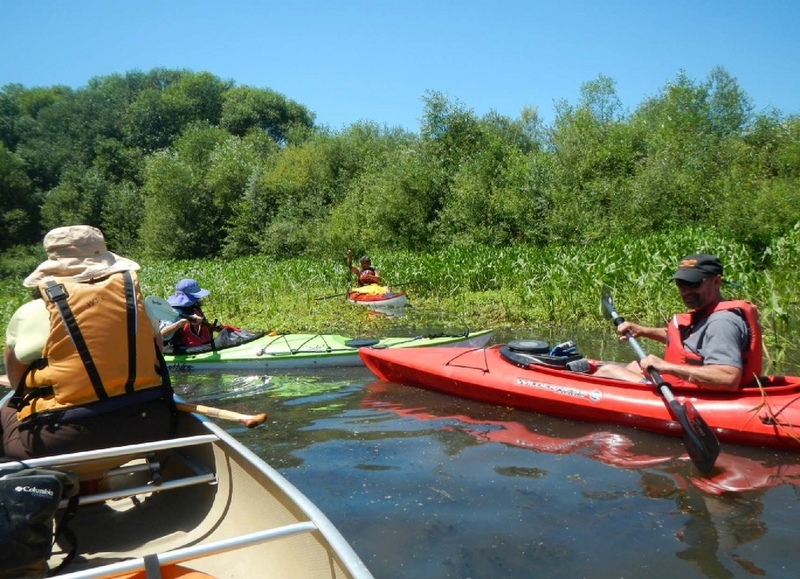 The Willamette Aquatic Invasives Network has elected to focus on developing a priority Aquatic Invasive Plant list for the Willamette that focuses on aquatic as well as a limited number of priority terrestrial weeds. There was some consensus around developing a list that broke the aquatic invasive species present in the Willamette down into 3 general categories; 1) Identify specific plants to prioritize for survey and treatment; 2) a watch list with EDRR species and; 3) other invasives that are present but too widespread to focus on treatment. In efforts to meet the goal of WAIN several members have developed an Aquatic Invasive Species (AIS) Resource list to provide references and information for land managers working with aquatic invasive species. The AIS Resource List is a summary of resources concerning the management of AIS. This list includes hyperlinks and information about: species of concern; control methods; impacts; management plans; survey and monitoring protocols; reporting databases; permitting and regulations. For easy reference the list is organized by the topics listed below. The AIS Resource List will be updated as more information becomes available. The WAIN group prioritized improving both our GIS and non-GIS digital information sharing and created a subcommittee to facilitate this. This group identified some initial steps we can all take to improve our aquatic invasive species GIS data sharing in the Willamette Basin. In its most simple form the goal here is to realize additional, collective value from all of our individual, programmatic invasive species data collection efforts occurring in the WAIN project area in an efficient manner. Please support our data sharing goals by following the Data Sharing Protocol. 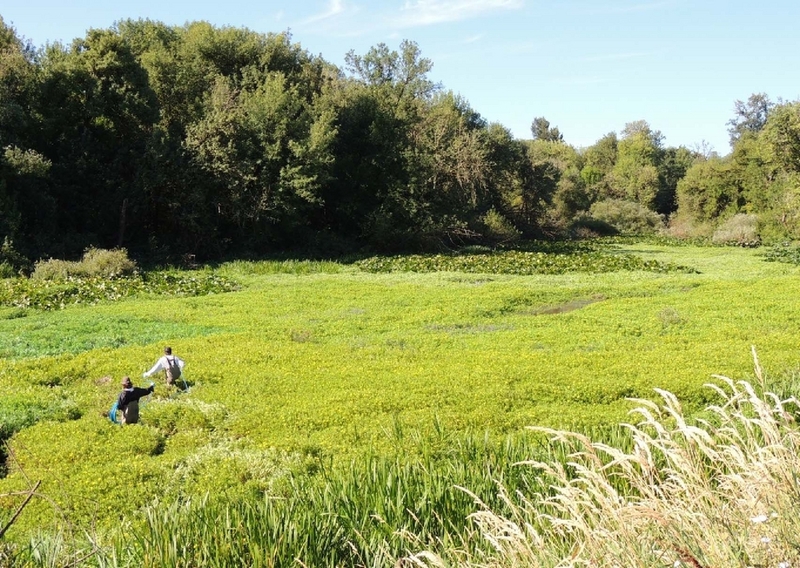 On the ground projects are beginning to take place throughout the Willamette Basin to address infestation of aquatic invasive plants. 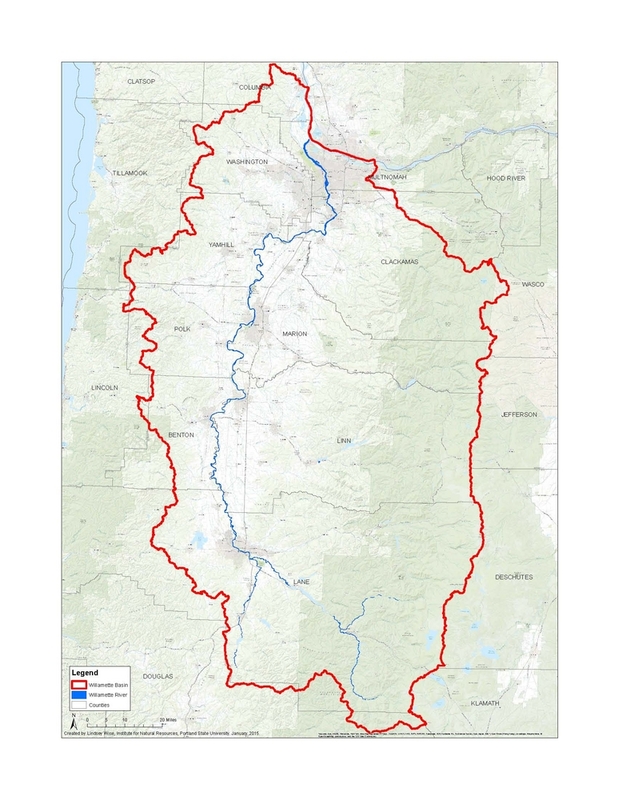 For project planning please refer to the map of the Willamette River Basin which includes all of the county lines, and water bodies. Please see the List of Current and Proposed Projects for 2015 and beyond. If you are working on developing a new project to address aquatic invasives, please email the details to Vern Holm so this can be added to the comprehensive planning list. An Aquatic Weed Workshop and Meeting was held on April 24, 2014. at the Salem BLM District Office with over 60 people in attendance from Oregon and Washington. The Agenda, Minutes and Presentations can be downloaded below.